Overplay are offering 25% off their standard annual package price in a special holiday season promo. In this article you can find the activation link to take advantage of this time limited deal. Between November 18th, 2016 and December 2nd, 2016 all new users can save 25% off the standard price of an Overplay VPN subscription reducing the price from the regular $99.99 down to just $74.96 which is approximately £60 at current rates. Users get access to both the VPN privacy package and an added bonus SmartDNS mode that allows you to stream geo-restricted content abroad such as BBC iPlayer without any speed loss reducing the chances of buffering. To take advantage of the deal all you have to do is click the special red link and the reduced price will be activated at the checkout page. Overplay gives you access to both VPN protection and SmartDNS which allows you to unblock geo-restricted content from around the world without speed loss. This is the best of both worlds if you’re concerned about your online privacy but also want to watch TV services from other countries or while outside your own country. Software for the VPN service is available for Windows and Mac computers with set-up guides available for mobile and other devices. Access to the PPTP, LT2P and OpenVPN protocols is included as standard. VPN servers are available in over 40 countries with more than 400 servers on offer to connect to. A 5-day money back guarantee is included as standard and also available with the 25% off deal allowing you to test the service to see if it’s suitable for your needs. Unlimited server switching and unlimited peer-to-peer traffic is allowed meaning you can download from torrents as much as you wish without restriction. 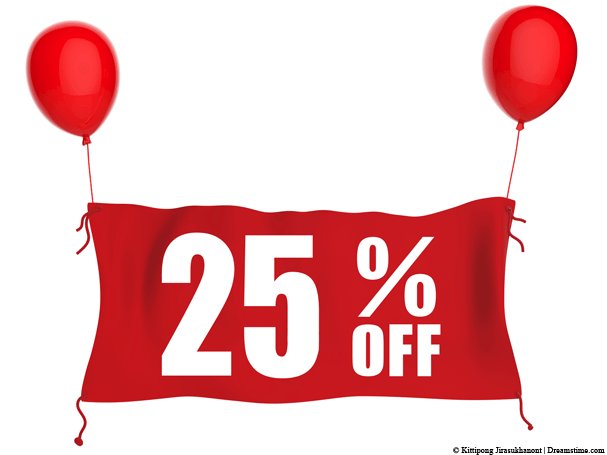 To activate the deal just click the red button below and the 25% discount will automatically be applied at checkout.